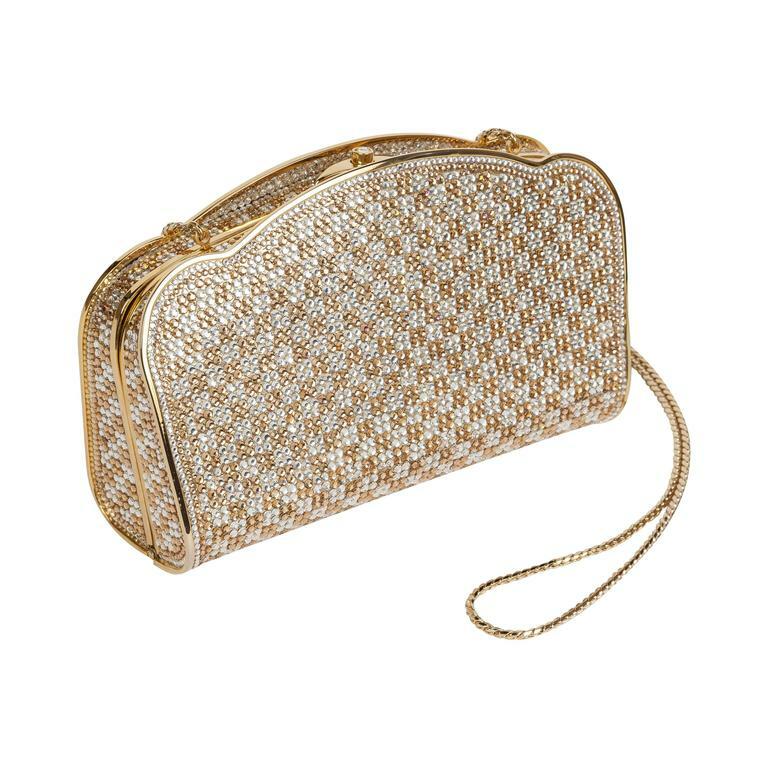 A circa 1990's Judith Leiber gold & silver/white bejeweled Swarovski crystal minaudière with gold tone metal envelope-shaped box form and curved/scalloped edges. 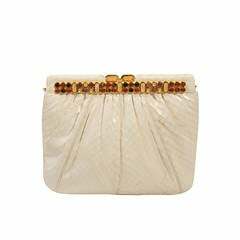 Features a gold leather interior, gold chain shoulder strap, a bezel-set crystal push fastener and the original mirror, comb, and change purse. 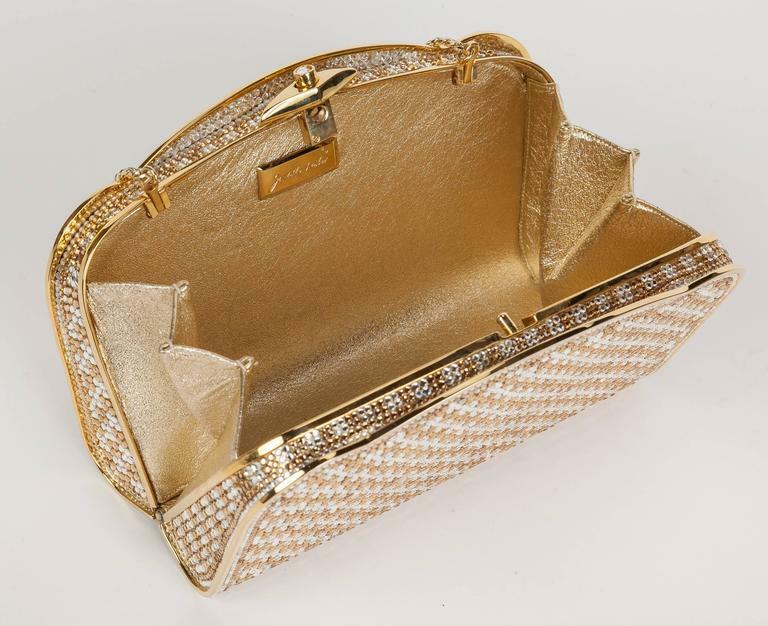 Judith Leiber cartouche with signature at the interior. 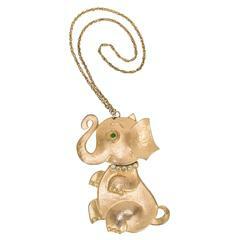 In excellent condition - missing one crystal. 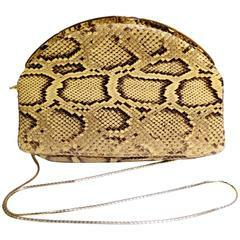 MEASUREMENTS: Height - 4.25" Length - 7.25" Width - 2.25"
Vintage Evening bag with rope strap.